In a January a few years ago, I needed to leave the tropical paradise of the house I shared on the beach in Mazatlán, in Mexico to make some repairs on my place in Snowshoe, West Virginia, yet another third-world country. I had purchased the tiny place as a roof over my head while I was a week-end ski instructor. I have learned that you encounter all types of skiers at “The Most Popular Ski Area in the South,” from the Floridian who has never seen snow before to the West Virginia mining multi-millionaire with a runway in his backyard. I met Ross, a semi-retired, self-proclaimed “organic farmer” on the shuttle. We quickly became skiing buddies. Ross oversaw his dominion like a benevolent Roman emperor, as you’d expect from someone who has made millions of dollars as an expert witness in company valuations, where swagger is the most important qualification on the curriculum vitae. Many of his valuations were high-profile divorces involving companies worth million of dollars. Ultimately, the ex-wife usually received a sizable settlement. "And often they began to spend it away on jewelry, homes and cars." he explained to me on the ski lift one day. "After 34 years, I've seen it played out time and time again. The money's gone but they've remained the same." The only good thing that can come from loss is that we become better people. Loss cracks us open, but with it comes the promise that we can emerge as someone new, someone better, even as pieces of the shell are still sticking to us and we're protesting like birds in a pie. Great loss is like a meteor. It produces a crater and changes everything around it much more than the banality of life event itself. Loved ones die, people stop loving other people and people get sick. Everyday events with catastrophic individual consequences. Watching too much television, drinking, over-spending and other forms of escapism only delay the process of growing from it. I've have never seen anyone emerge successfully from great loss whole without spending a great amounts of time in introspection. Therapists often recommend that a person grieving a loss like a death or divorce change things in their environment. Even superficial changes like painting rooms of your house a different color or making a guest room a study can help. After my divorce, I changed neighborhoods, then when that was not enough, changed cities. When that wasn't enough, I moved to Mexico. Of course you don’t have to move to another country but people do, even if it's just a temporary sojourn. 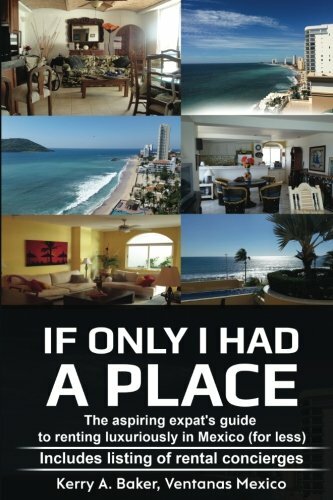 When I first moved to Mazatlán, people joked that half the expats in town were recovering from a bad break-up. Travel (as demonstrated in the book Eat Pray Love") and foreign sojourns can be conduits for the deep introspection required to determine where your heart wants to go next, without the distraction and input of well-meaning friends, rebound lovers, and therapists who can only scratch the surface of who you really are and who you want to be next, the questions only you can answer. If you have children, moving abroad is more difficult, as outlined in this article by Expat Focus. Another blog has made focus of traveling after a break-up. Next up: Sure it's scary taking charge of your financial and healthcare prospects, but there can only be one captain on the ship if you're single. Most recent: Regarding safety, you probably don't have to worry about drug-related violence in Mexico as much as you do rebar. 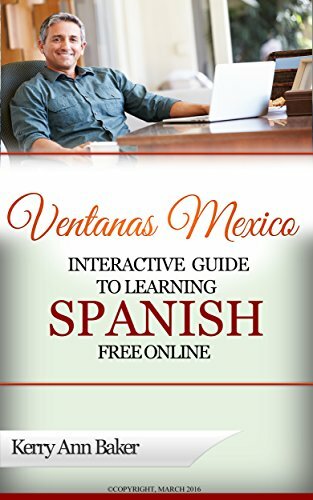 Hola, I am a partner with Ventanas Mexico and author of the "Interactive Guide to Learning Spanish Free Online," a curation of the best Spanish language tools on the web, linked and organized into lesson plans, and also a new book, "If Only I Had a Place" on renting well in Mexico as an aspiring expat.